Take one serving (1 scoop) of Essential Aminos mixed into 250ml of cold water, either before, during, or after your workout. On non-training days: consume throughout the day, or as directed by your fitness instructor. It takes about 1 minute to completely dissolve the product. I like to use this product as an intra-workout, is that OK? Yes, the composition of Essential Aminos is basically an upgrade of Xtend. 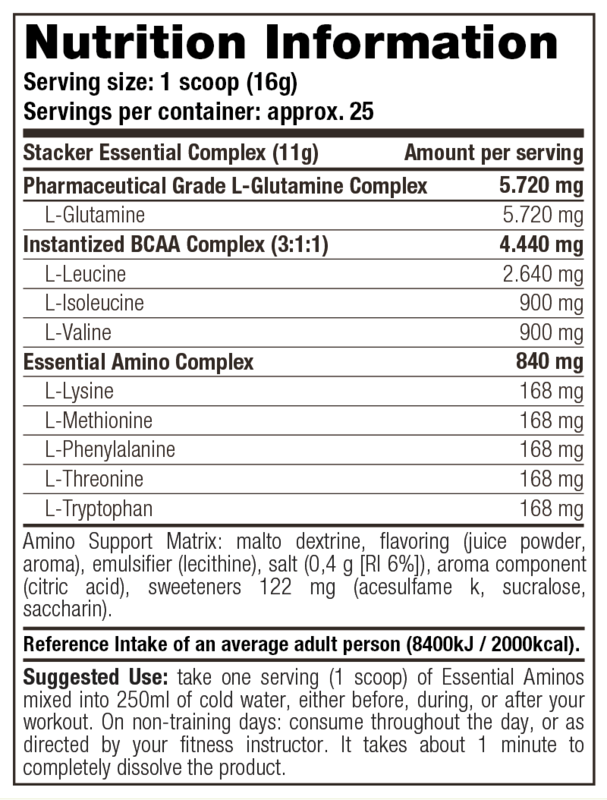 Essential Aminos contains a high percentage of BCAAs and unlike Xtend there is also a large amount of Glutamine present. Glutamine is an oft forgotten but important ingredient of intra-workout products. May I take larger doses? The dose has been proven effective for nearly all athletes. Only for heavy power athletes, in excess of 90 kg, might it be useful to take an additional daily dose, or make the doses larger (no more than one and a half to two scoops). How can I feel that Essential Aminos is working? 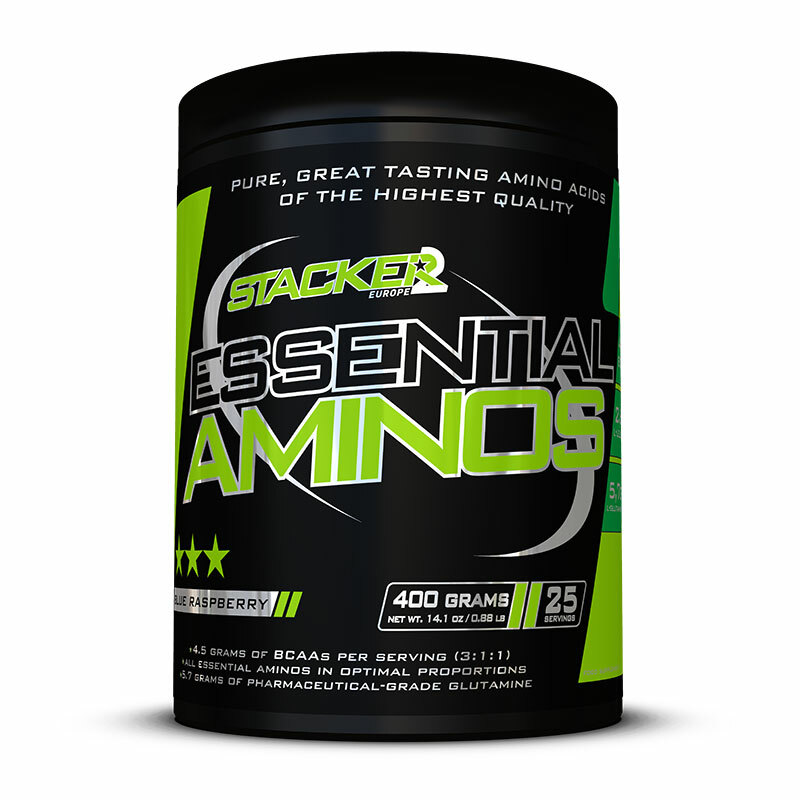 Essential Aminos contains the most relevant amino acids for you as an athlete. You do not feel amino acids in themselves; what you feel it is a reduction in muscle pain, less muscle cramping and less fatigue. Ideal, especially if – like me – you are not keen on capsules. Super amino, does its work well. Dissolves easily, nice flavour.